A unique dining experience, the Gracious Table offers a prix fixe menu for a table of 12. 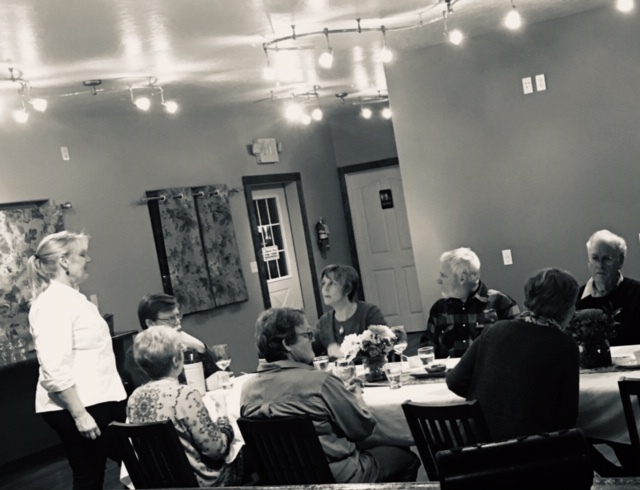 Meet new friends during your five course experience where you will be treated to excellent service, local ingredients, recipes and ideas for creating your own gracious table at home. See our many other offerings below. Classes are $35 per person unless otherwise stated and includes the meal you create! This is our 3rd Annual Mother’s Day Brunch so make your reservations early! Our new location seats up to 30 for small gatherings, business meetings and private parties or dinners. At the Gracious Table we strongly value two things: food and community. We are committed to provide quality hospitality, delicious, out-of-the-ordinary food and a story behind every meal. While you enjoy five themed courses you will be treated with a brief cooking demonstration, history and source of your meal. We want our guests to feel a part of something greater—sharing passion for health, sustainability, and community through cooking and sharing a gracious meal. Few things bring people together like sitting around a table. Even strangers become friends when they dine and share life stories together. Many times folks know each other from the grocery store or post office but have never had the chance to sit and talk to each other. This is the model for the Gracious Table. Mandy Bell has created a place where guests come as strangers and leave as friends. 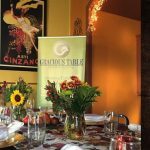 The Gracious Table is a place of interactive dining experience complete with recipes and how to prepare instruction. So come on, learn something, meet someone and have a grand meal in the process. The mission is simple: Serve uniquely delicious food around one big table that guests will want to experience again and again.